If you’re looking to escape reality for a day and pretend that you have not a care in the world, I figured out how to do it (assuming you live in the Seattle area or could plan a trip here sometime soon!). I didn’t realize quite how magical Lavender Hill Farm would be when Lauren Essl and I started planning our visit there, but time started to slow down once we boarded the ferry from West Seattle to begin our short journey to Vashon Island (I just love a ferry ride) and continued to as we drove off the boat past berry stands, honesty flower carts and adorable plant nurseries and country stores. I’ve been to Vashon before, but somehow still noticed many new things this time around. I think we used the word “cute” about 100 times on the drive to the farm. 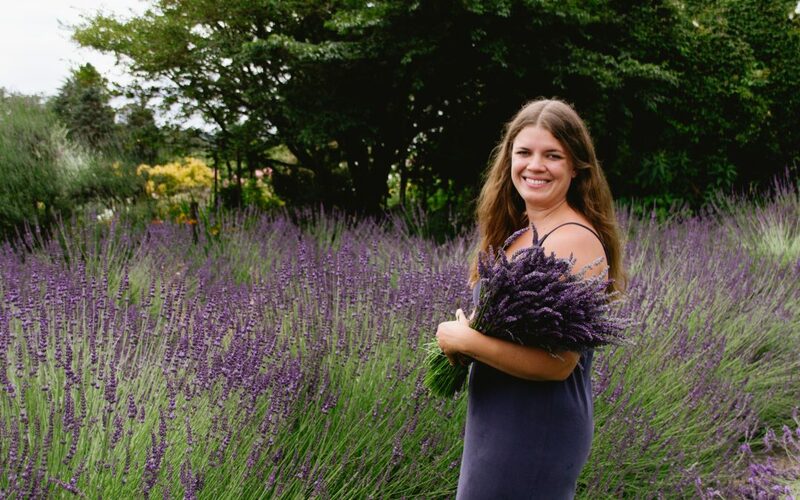 Lavender Hill Farm is a U-pick lavender farm located off a quiet unassuming street near the sound on the southern part of the island. 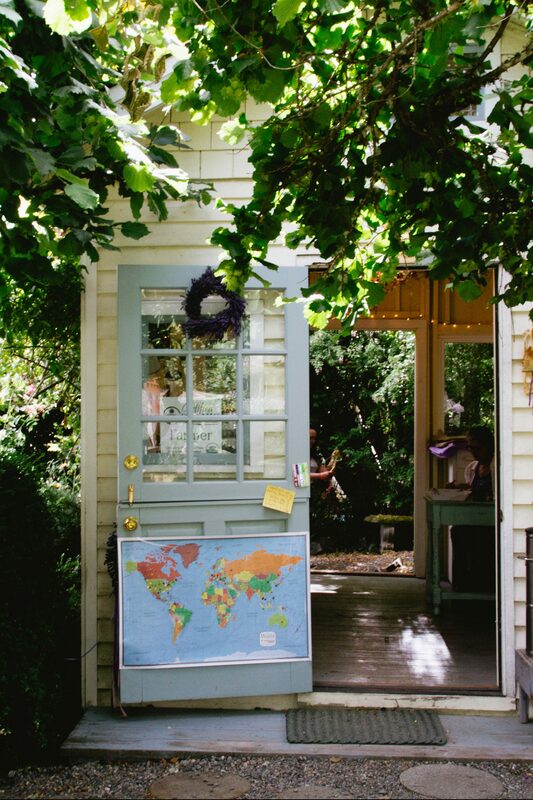 As you enter the farm, you’re greeted by a handmade sign and the most charming property. 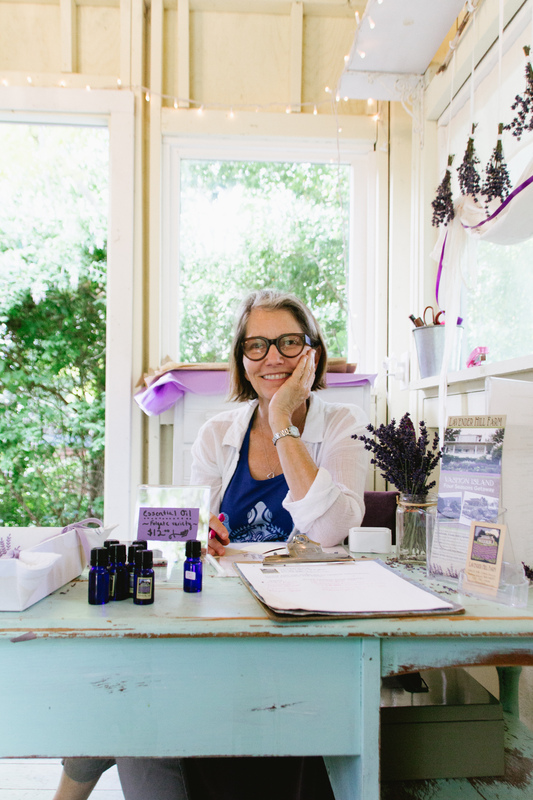 There is a beautiful home where the farm owner, Catherine, lives for the summers (she lives in Berkeley the rest of the year) and a farm shop where Catherine makes lavender sales and also offers all sorts of lavender goodies that she makes at the farm, picks up on her road trip from California to Washington each summer and sources from other makers including a lavender syrup (for cocktails and cooking), lavender hand cream, bar soap, CBD oil and an assortment of other products. 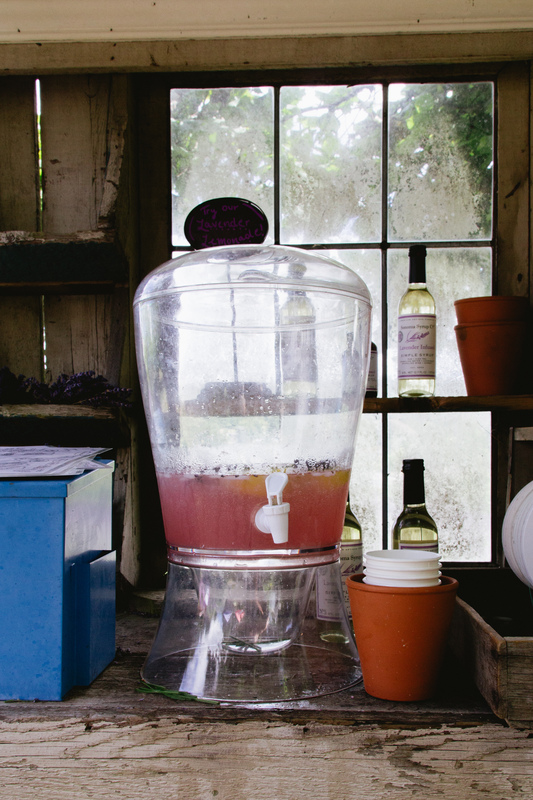 Nestled in between the farm shop and the lavender field is a potting shed where you can collect a map of the farm’s lavender varieties, clippers for cutting the lavender and later in the day, we poured ourselves a refreshing cup of lavender lemonade that Catherine shares here. To say I went a little lavender-crazy is fair. I cut 10 bunches of lavender, including several single-variety bunches and a few mixed variety bunches. 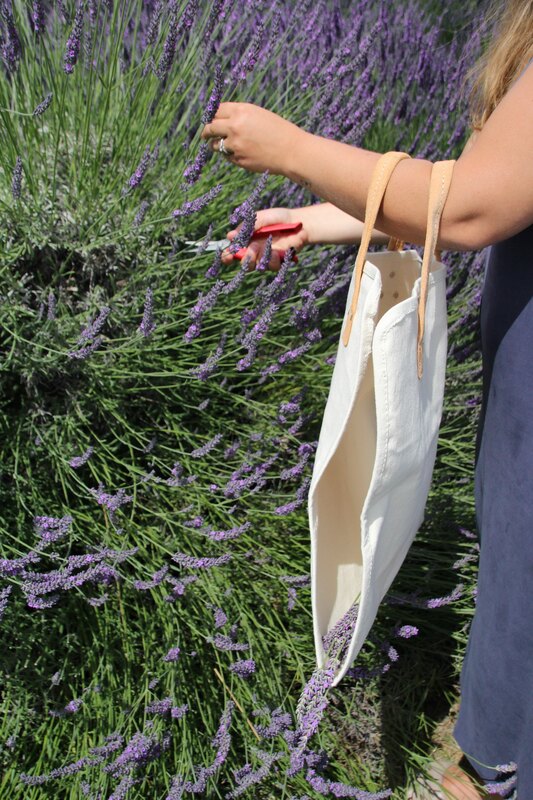 The french (long-stemmed) lavenders were all newly bloomed and ready to be cut so I stocked up. I loved the fragrance from the Phenomenal and Grosso varieties, but I think the Royal Velvet was my favorite to look at – its sitting in a handmade vase by my bathroom sink now. I’ve used lavender in arrangements, but I enjoy it the most on its own. 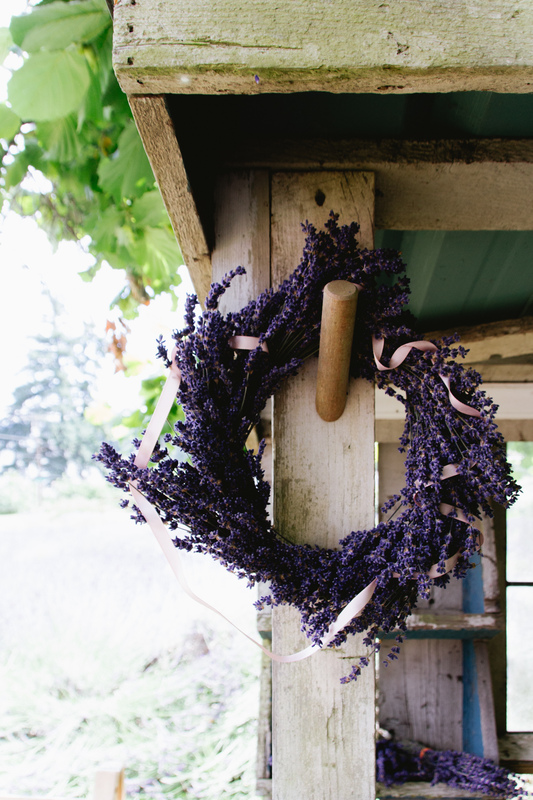 I love making lavender wreaths, sachets and filling vases around my home with these lovely, fragrant flowers. One thing I’ve learned though is NOT to put lavender in water. 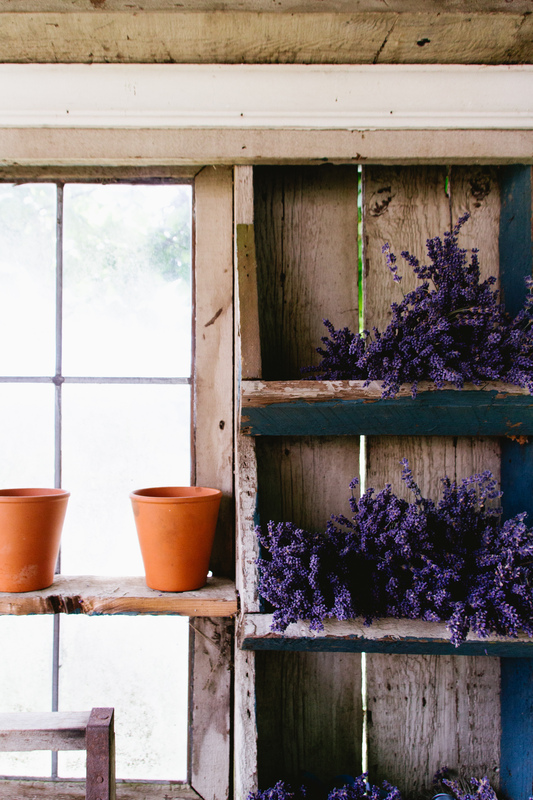 It doesn’t preserve it, but it does cause it to mold, stink and generally ruins your lavender. 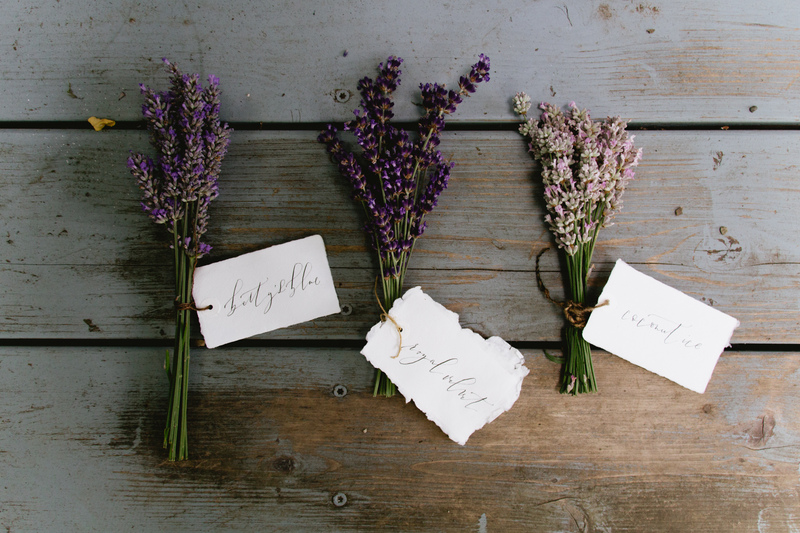 If you purchase fresh lavender put it in a dry vase. It will stay fresh for a few days and then begin to dry out, remaining beautiful and fragrant for months. 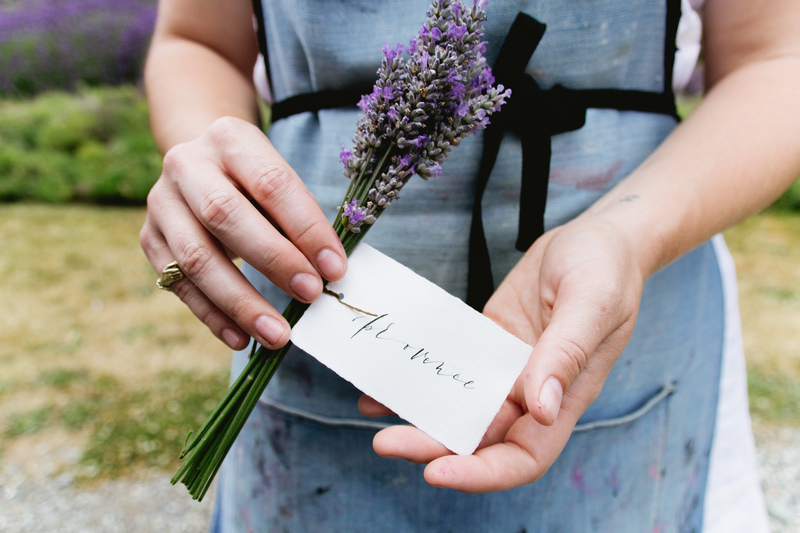 While we were there, Lauren and I couldn’t resist staging a mini-lavender photoshoot featuring some of our favorite varieties and Lauren’s beautiful calligraphy. 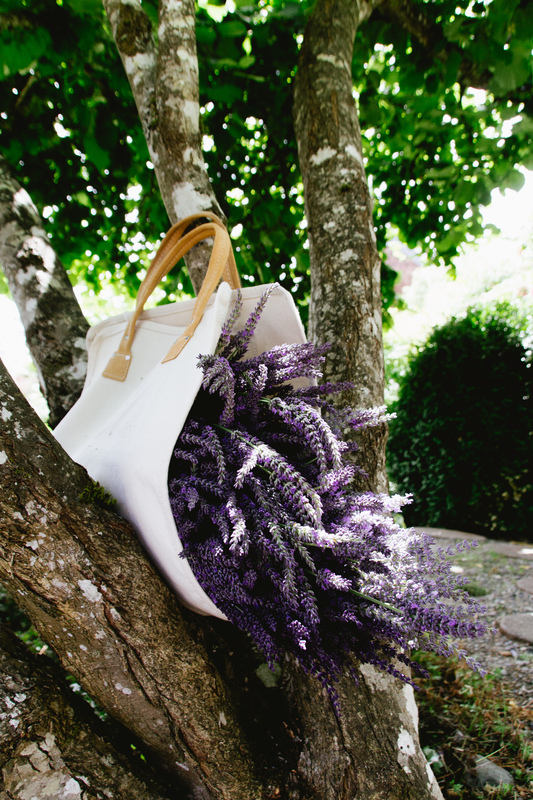 Spending a few hours at Lavender Hill, wandering the small, but beautiful field of lavender, cutting bunches and sipping lavender lemonade was so dreamy it was hard to leave, but unfortunately the real world does go on and we had a ferry to catch and I had an evening appointment to keep. But Lavender Hill will be a new tradition for me and I already can’t wait to go back next July! 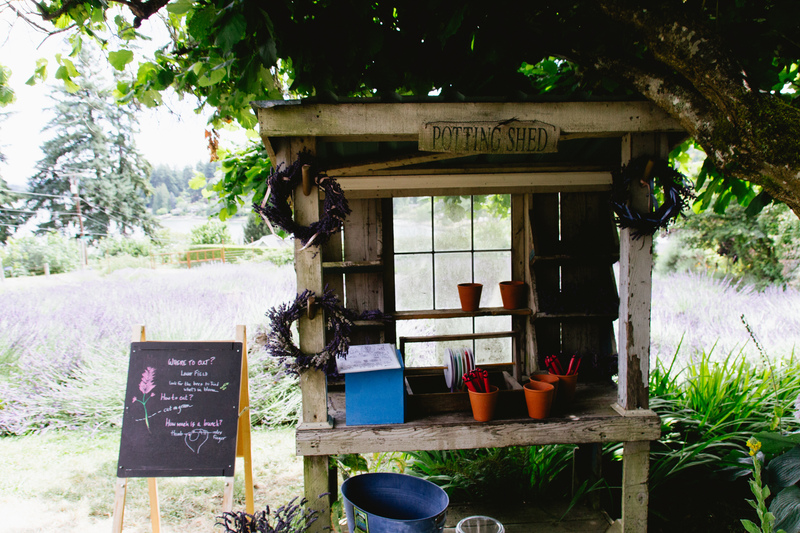 If you’re planning a trip to Lavender Hill, go soon! 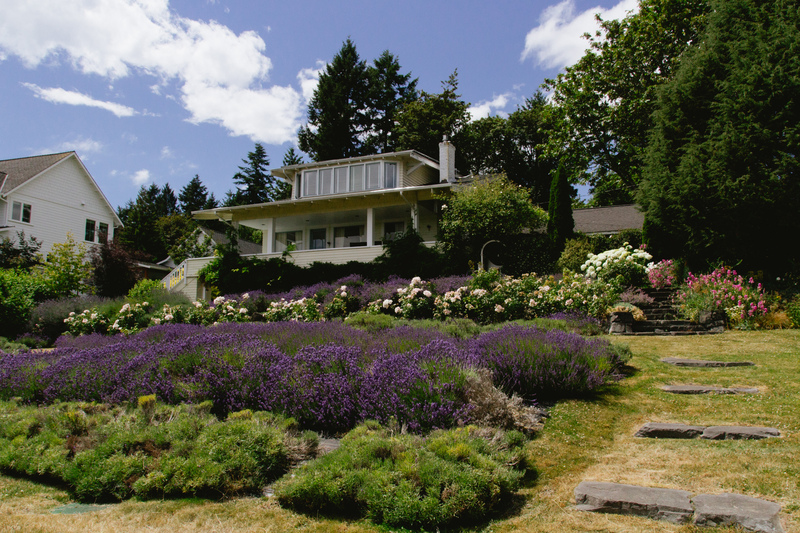 As July progresses, the lavender will start to brown and fade as it draws to the close of lavender season. We went on July 6th and I think the date was perfect. Some of the white lavenders were already spent, but almost all the other lavenders were in peak bloom. 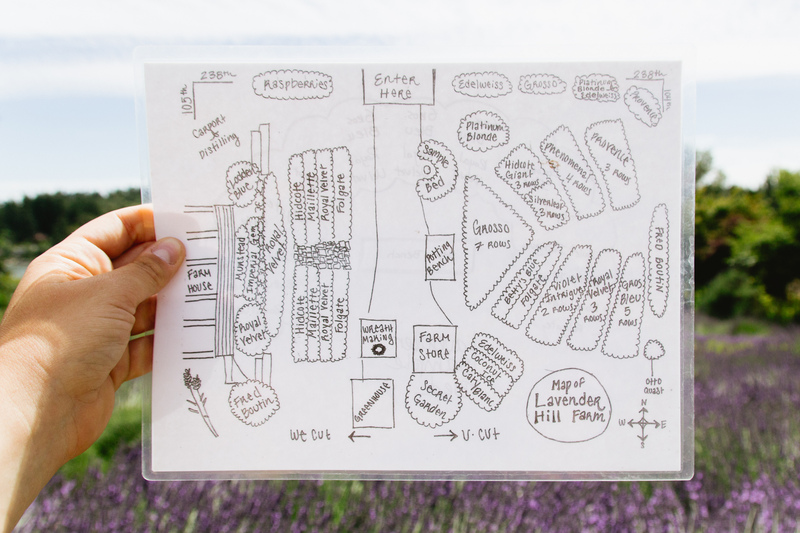 The farm is open for U-Pick lavender from June 20th-July 29th, daily from 11-5. Thank you so much. I loved reading this and remember your visit well. Fabulous photos and I look forward to your next visit! Cathy (aka Catherine). No Caroline here!! Hi Cathy – your farm was such a delight to visit! So sorry about the name glitch. I wrote Catherine in two places and for some reason Caroline in another. Don’t know what I was thinking there, haha! It’s fixed now :). Can’t wait to visit again next year!